Have you ever wondered what dinosaur food, or dinosaurs themselves tasted like? Ok, you probably haven't, and it's probably easy to imagine they all tasted like chicken anyway. A lack of bizarre curiosity about dino dietary habits shouldn't stop you from wanting to add a little Stegosaurus to your snack time. Dinosaurs, as a pop culture staple, is a bottomless well. When you couple the fascination kids have with the carnivorous creatures and vegetarian herbivores of the Jurassic and meal time, magic can happen. 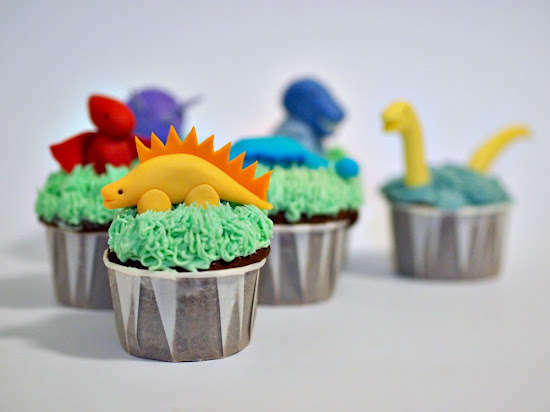 Kids with a dinosaur obsession will go nuts over having dino-shaped ice cubes, dinosaur-themed cupcakes, and even dinosaur meat. 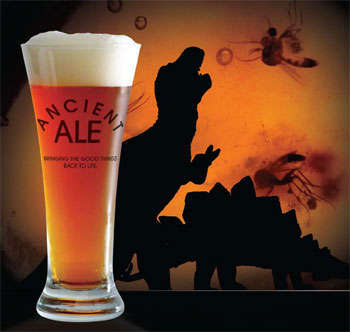 For the grown ups, there's beer brewed from actual 45 million year old yeast or the Tea-Rex tea bag substitute. There's a dinosaur food and drink mix out there for children and inner children of all ages.